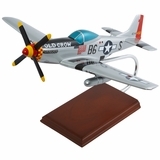 So affordable and so cool for Corsair lovers! 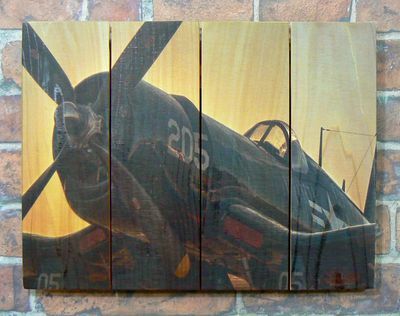 Airplane Art – This Corsair Airplane looks stunning on the red cedar wood canvas. 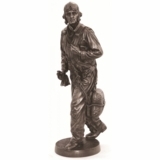 Hang this unique piece of art in an aviation themed room, man cave, or airplane hangar. Hung inside, there will initially be an attractive wood scent. Hung outside, the natural knots and wood grain will swell adding more texture and interest to the Corsair airplane. The use of UV weather protected inks do protect the art from the elements, but as wood ages the color will become more of a silver grey over time. All hanging hardware is included with purchase. Beautiful picture for an aviator. Very cool.